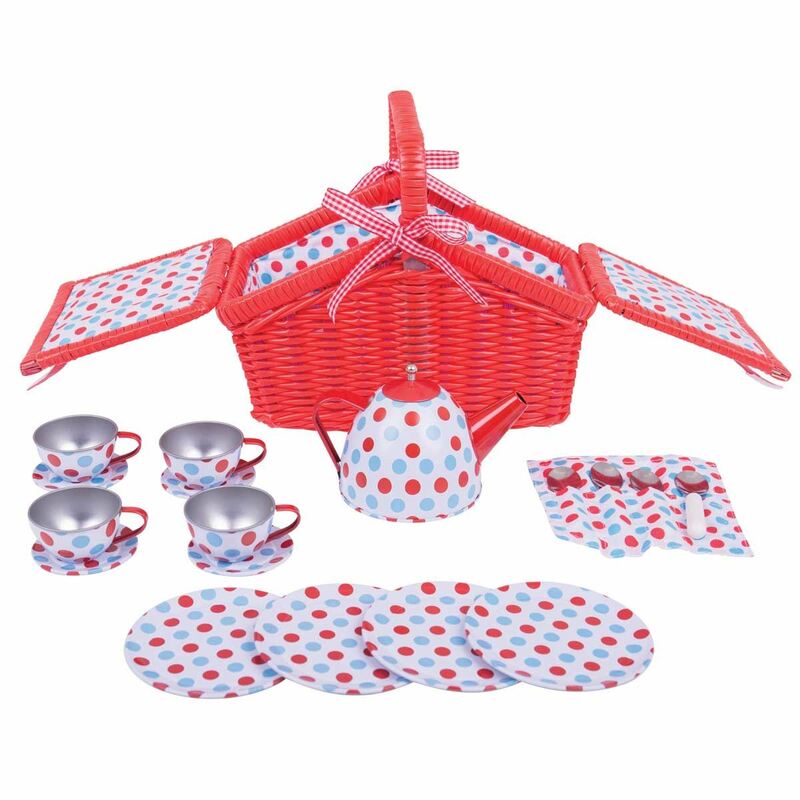 Invite your friends (and dollies) to a party with this cheerful, blue and red spotty 17 piece metal tea-set, contained in a bright red, durable woven plastic picnic basket. 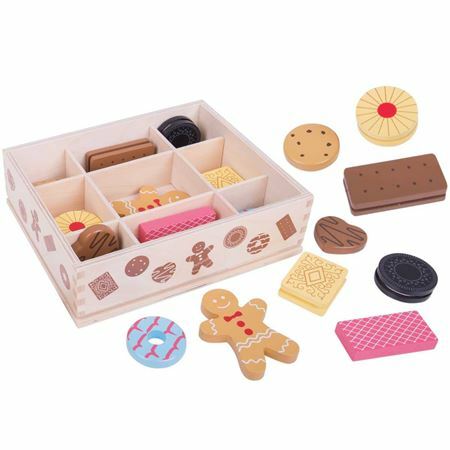 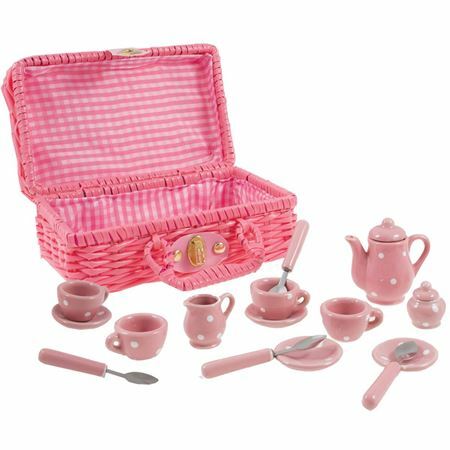 The cute, compact size is just right for little hands. 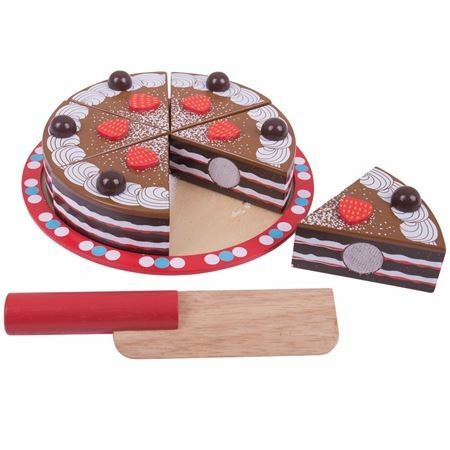 Wooden playfood chocolate cake that looks good enough to eat! 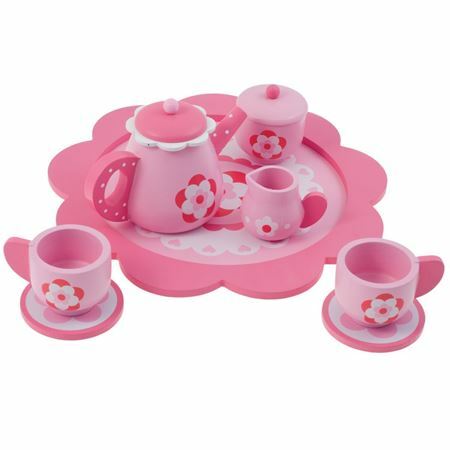 A charming wooden tea set, highly decorated in shades of pink.